Time to step up your to-don’t list game. Lists. 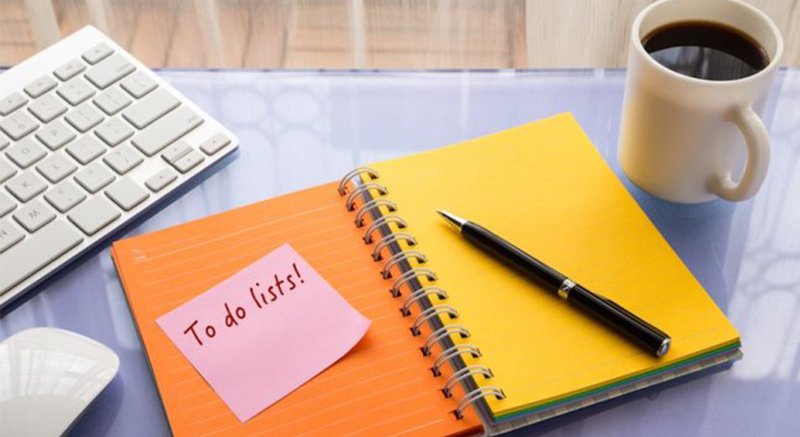 We’re told that writing lists are one of the best ways to manage our productivity, the best way to remember what shopping to buy, and the best way to prepare for the day ahead. I have been a victim of being a list hoarder and have been through thousands of some of the best post-it notes, and even the ones that fail to hold their adhesive. Yet, I have still fallen victim to not being productive, cluttering my mind, not buying the correct items, and not fulfilling my daily goals. For those who have never written a to-do list, give it a try and see how many things you manage to tick off during the day. It’s not easy. When I first started writing lists of things to-do, it felt good to take a page out of my cluttered mind, and bring it into the real world in form of paper and ink. However I still found myself asking; ‘How can I achieve all of these things when I have a family, my high intensity career, and my alter ego who like to sleep a lot? It was then that I played a game with how I write my lists, and started to write simple things like; say a prayer before I get out of bed, do 10 push ups before I get to the bathroom, brush my teeth for 5 minutes, followed by looking in the mirror and telling myself about how great the day ahead would be, and lastly give myself a round of applause for checking off 5 things on my to-do list within the first 15 minutes of being awake. Go me! I noticed something. Daily I started to feel a sense of accomplishment. It was as if my mind couldn’t differentiate between a large success and a small one. My countenance was bright, I was motivated, and just by starting my day off on a positive (note), I was having more achieving days and felt like a success. As time went on I began to make my daily goals more challenging, from reading for an hour each day eventually writing for three hours a day. I fast forward 5 years and had written twelve books. Go me! I then knew that simplicity was the engine starter, but there was another level to this that transformed my life. I began focusing on all of the things that I was doing that were counter productive: snacking on unhealthy foods in times of boredom, and getting distracted by YouTube’s endless thread of related videos. I then had the idea to write a to-don’t list. Different. Strange. Embarrassing often, but productive never the less. I began to identify the distractions happening from day-to-day (usually not my fault < that’s not entirely true) I started to write down all of the things that I don’t want to happen and exchanged them with a positive alternative on my to-do list. This served as a great way to ‘repeal and replace’ ah, there goes that Trump again. I started simple: no bad language, no forced naps, and no mass viral video consumption, until these became habits. Now my weaknesses turned into areas of development and my life became less cluttered. So here are 5 Steps to De-cluttering Your Life. At the end of each day before you go to sleep, set 5 Simple Goals of things that you must do the following day. Also write 5 Simple Goals of things that you must not do the following day. Keep them simple, motivating and achievable. It is easy to give up on your goals when they are somewhere out there in the distance. Keep them close, in your bag, on your desk, on your phone lock screen. Become one with your goals < Ok, maybe not that deep). It’s easier to follow a plan that you can see. This adds pressure and accountability, but it also inspires honesty and dedication. It can be a friend or family member, but not your dog or cat. As your goals become habits, push yourself further to see if you can keep your 100% achievement record going. Do this by setting more challenging goals. Once you master the to-dos and to-don’ts of your life, you will be thriving and it would be a shame to give up everything you have built. So, repeat everything. This is the magic that turns the idea of your diet into a lifestyle and your trend into your reality. No go forth and to-do more than you to-don’t.